Dion Johnstone is one of my favourite actors anywhere, stepping out as a star at Stratford right around the time this site was getting started. 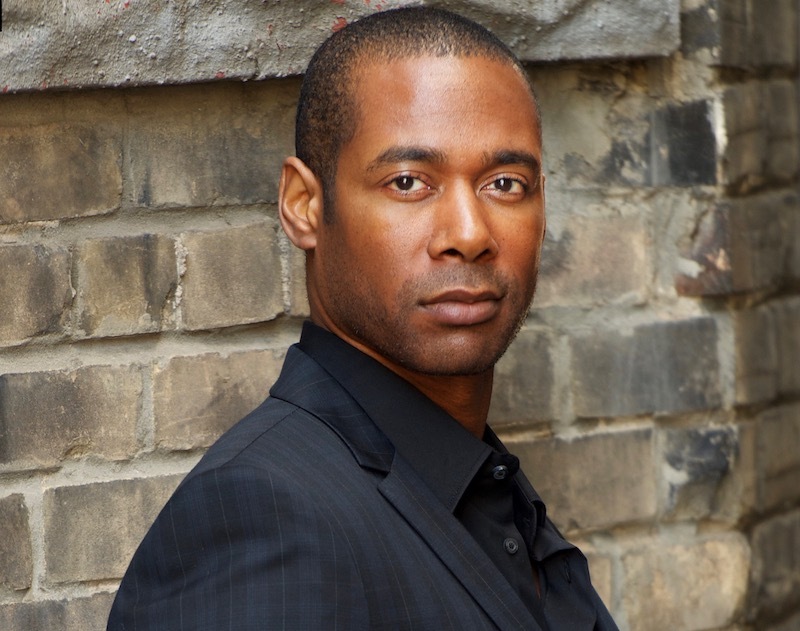 He won a MyTheatre Award for his performance as Caliban the first year we gave them out (2010) and has been nominated three times since, including this year for Outstanding Actor in Soulpepper’s brilliant production of Father Comes Home From The Wars by Suzan-Lori Parks. The last time we interviewed you was way back in 2011 about your role as Aaron in Titus Andronicus. Catch us up on your life since then. Where to start? I’ve performed at the Stratford Festival (where I did Titus Andronicus) for a total of nine seasons; I’ve also worked in the US, performing twice at Chicago Shakespeare Theatre (Julius Caesar, Pericles), twice with Washington DC’s Shakespeare Theatre Company (A Midsummer Night’s Dream, later remounted for Macau, China) and recently with Red Bull Theatre (the title role in Coriolanus in a production which became an acclaimed NY Times top 10 pick. ); I spent some time in Vancouver where I shot my first leading role in a 10-episode TV series called Ties That Bind; and most importantly got engaged to my fiancé Lisa Berry on the top of Blackcomb Mountain in Whistler! You were nominated for a second time for 2014’s Chamber Dream. What stands out in your memory about that production? Embracing each of my 3 cast mates backstage and whispering “good hunting” before we took our plunge into what was always such painful, emotional territory. I also remember our director Peter Sellars’ hugs. He was such a loving and generous man who started and ended each rehearsal by hugging every member of our small company. You were part of one of our most-nominated productions of the year Father Comes Home From the Wars. How did you get involved with that production? I received a call from director Weyni Mengesha when Lisa and I were still in LA inviting me to join the production. Weyni won me with the opportunity of playing opposite Lisa and being a part of what she felt would be a challenging but important work for our current times. You’re predominantly known for Shakespeare. How does working on something that was written just a few years ago change the way you approach a role? Well, this isn’t always the case but, more often than not, modern text, unless it is highly stylized, doesn’t usually tell you everything of what the character is thinking or feeling. So a degree of detecting has to be done in order to discover what isn’t being said and ultimately what the source of those thoughts are. Shakespeare’s characters tend to say what they’re feeling (if not to each other than to the audience), so you can often find their psychological motivation from clues in the text. 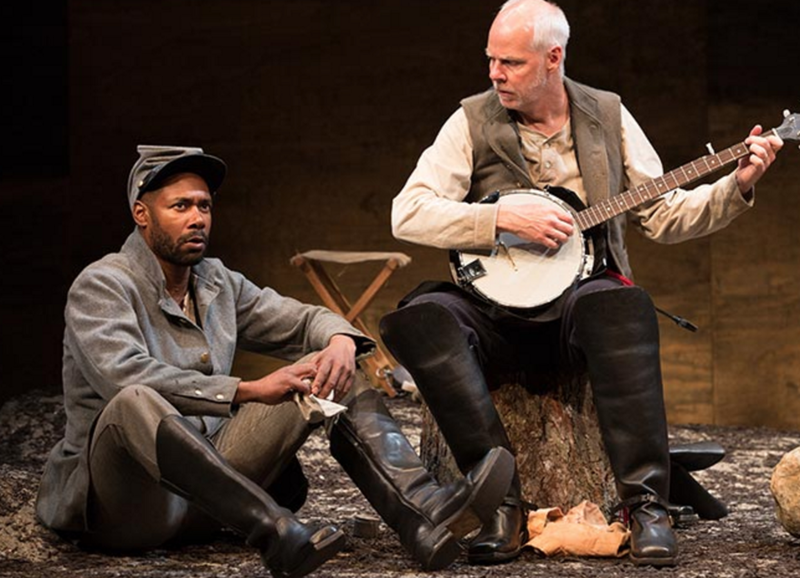 Suzan-Lori Parks works with very stylized, poetic language. Did your Shakespeare background come in handy when mastering her style or was it a whole different thing? 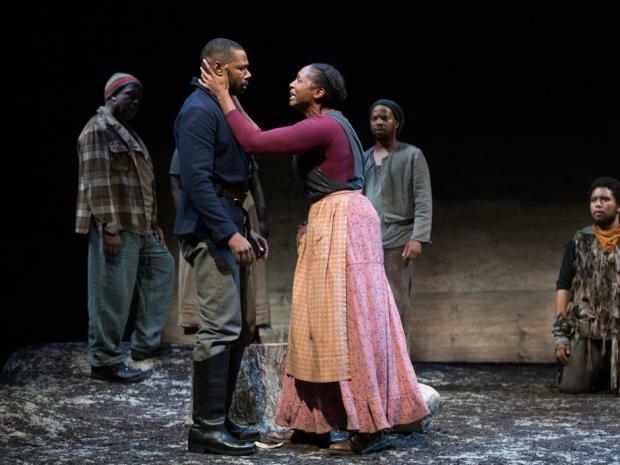 There are similarities between Suzan-Lori Parks’ language and Shakespeare’s but also many differences. Her verse structure seems to be important when trying to identify how the thoughts are built so, like with Shakespeare, I paid attention to the last word in each verse line as well as the first word in the next. In terms of differences, she invented a new structure, which took us awhile to understand. She calls this structure a “spell”. It’s notated with the character’s name followed by a blank space. This blank space represents the character’s core thought or feeling unadorned by words. An unvoiced language. Parks leaves it up to each individual company to discover what the pure thought is in each of those moments. Sometimes 4 or even 5 spells will follow one after the other before a character speaks. You can imagine the challenge we had navigating through that! The play is loosely based on the Odyssey. Was your mythological counterpart in your mind at all throughout the rehearsal process? For sure, but I found it helpful in a metaphorical and spiritual sense rather than a literal one. Like Odysseus (or Ulysses), Hero leaves home to fight a war and when he returns both he and his world at home has changed. A crafty warrior and survivalist, Odysseus is credited with coming up with the plan which won the Trojan War; a gift to the Trojans in the form of a huge wooden horse, which held hidden inside the Greek army. In a similar way, Hero returns to his plantation garbed in the uniform of the Confederates, while hiding underneath the Yankee uniform which expresses what he wishes his true colours were. Hero (now Ulysses) brings gifts for everyone but holds two world-shattering gifts for the last. The first a gift for himself: he has married a new wife with whom he expects to have children; the other (which he doesn’t get around to sharing until too late) a handwritten copy of Lincoln’s Emancipation Proclamation, freeing the slaves. Unlike Odysseus, Hero’s story doesn’t end up in happy reunion with his Penelope (Penny). In fact Parks turns the play on its head at this point and has Penny leave him to claim her own freedom. Your character Hero had a parallel and equal rival in Daren A Herbert’s Homer. Tell us about working with him and developing that relationship with its rich history. Daren was awesome to work with! For many years I’ve heard about him but we’ve never had an opportunity to work together. This was our first go and I found the connection very easy. Weyni reminded us that we were brothers who were two sides of the same coin. Like a Malcolm X figure (Homer) vs a Martin Luther King Jr figure (Hero). The argument we needed to always keep clear was the struggle between taking your freedom vs working steadily towards it being given. Can freedom actually be given? Isn’t it inherent and inalienable? You co-starred with your fiancé Lisa Berry. Was it difficult to play a couple in turmoil with someone you’re with in real life? It was challenging but not in the way one might expect. We have a short-hand with each other, so the ability to trust each other came with the package. However we had never actually played opposite each other before and we had to learn how each other works; what each other’s rehearsal needs were. Ultimately this shared experience gave us greater compassion for what each of us goes through, especially when we take on roles that require deep emotional investment. This was a rare Soulpepper production with a predominantly black cast. What are some of the ways our stages still need to improve with regards to diversity and how do productions like Father Comes Home from the Wars contribute to that progress? Let me go further back for a moment. In 2010 Soulpepper produced a remount of their 2008 production of A Raisin in the Sun. I was part of this company also directed by Weyni Mengesha and our run played simultaneously with Soulpepper’s Death of a Salesman. I mention this because it provided audiences with a rare opportunity to see two classic American plays, set roughly in the same era, dealing with the death of the “American Dream” from both white and black perspectives. I think more theatre companies (especially those focused on a classical repertoire) should actively seek to program opportunities like that. Now, like Lorraine Hansberry who wrote Raisin, Suzan-Lori Park’s is both a woman and an African American playwright. This provided Soulpepper audiences with an opportunity to experience a perspective that didn’t come from a white, straight male. Parks also found a way of inviting everybody, black or white, male or female, to consider not only the ramifications of physical slavery but the psychological damage it creates both in those forced to submit to it and in those who perpetuate it. What a gift. There is much we can learn about each other if importance continues to be placed by theatres on providing more opportunities for audiences to see plays from different cultural perspectives. Director Weyni Mengesha is one of the fastest rising stars in Canadian theatre. How does her process compare to other directors you’ve worked with? Weyni is an incredible director to work with. She is extremely detailed in her process and we spent a lot of time finding deeper layers to our choices. She left us with a clear road map that supported us through the entire run. You know when working with Weyni that no stone will be left uncovered. That’s a tough one. There were many moments. I suppose one moment that always thrilled me was when Hero would reveal to Penny that he had a new wife. It was the most visceral vocal response I received from the audience who by this point were deeply invested in Penny’s story. The heat coming off that audience was no joke! The desire to continue the discussion of past and modern slavery, especially the mental kind. One thing I think we can all understand is how in a way we are slaves to our culture, slaves to the almighty dollar, slaves to the idea of having a value in this society which can be traded for acceptance or gain. How well do we challenge ourselves to hold to our own individuality and in kind respect and accept each other for theirs? It’s an on-going question, one we’re still deeply embroiled in today. My hope is that people will continue to share with each other and keep the conversation going or we risk moving backwards. I’m preparing to workshop a new musical in NYC towards the end of March and am enjoying putting myself out there for new film/TV projects. I’d love to thank My Entertainment World for their continual support of the arts and media. It’s an honour to be nominated for a MyTheatre Award and to be recognized amongst so many formidable artists. Thank you!